If the operator has Execute selected in the UMSS / Administration / Manage Users permission, the UMSS / Data access / Users options further refines the operator’s access to the UMSS USERS table and thus the ability to manage user’s information. Delete – When unchecked, operator cannot delete records in the USERS table via UMSS-MSGS Server console. The Delete icon will disappear. Update – When unchecked, operator can make but cannot save any changes to User records (i.e. in the User Properties Window). A ‘No Permissions to process’ error appears when OK is pressed. Insert – When unchecked, operator cannot add User records or import users from Active Directory via UMSS-MSGS Server console. The Add User and Import button are grayed out. Query – When unchecked, operator cannot view User records in UMSS-MSGS Server console. After the ‘No Permissions to process’ error appears, the main window will be blank (i.e. 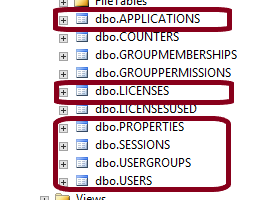 no data in the Name, First Name, Last Name, User Group columns). If the operator has Execute selected in the UMSS / Administration / Manage User Groups permission, the UMSS / Data access / User Groups options further refines the operator’s access to the UMSS USERGROUPS table and thus the ability to manage user group definitions. Delete – When unchecked, operator cannot delete User Groups records via UMSS-MSGS Server console. The Delete icon disappears. 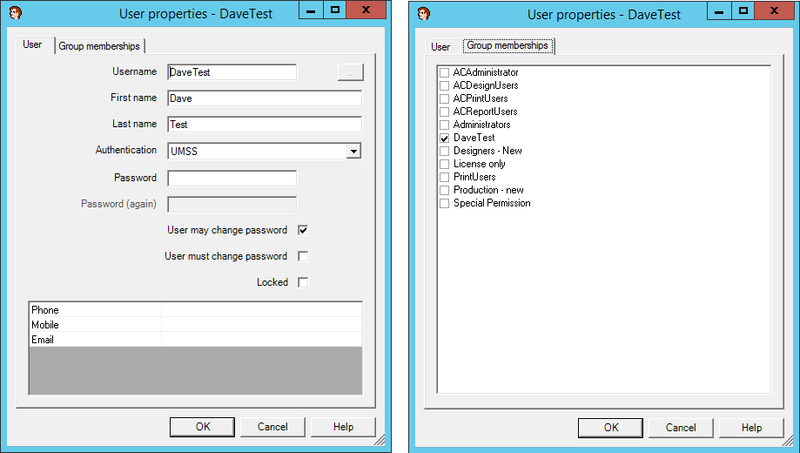 Update – When unchecked, the properties icon does not appear and operator cannot save any changes to the User Group Properties screen. Attempting to save changed settings in the Properties screen by pressing the OK button yields a ‘No Permissions to process’ error message. Insert – When unchecked, operator cannot add or clone User Group records via UMSS-MSGS Server console. The New User Group and Clone icons are grayed out. Users – When the Users node is selected in the left-hand navigation, the ‘There are no permissions to process this request’ error appears. After selecting “OK”, the User list will appear. 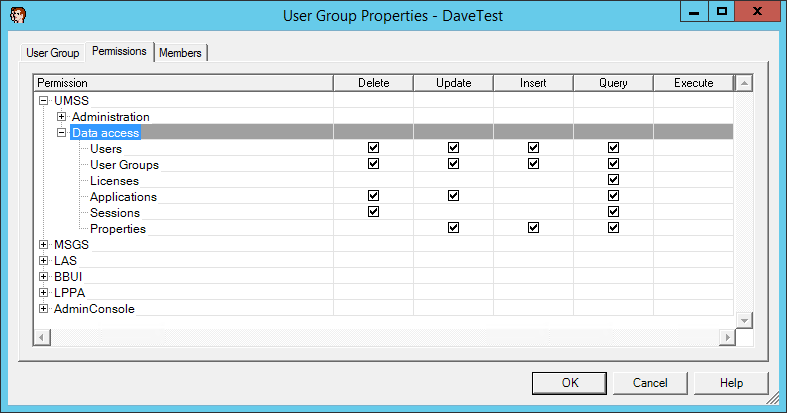 Note that in the resulting screen, the User Group column is empty. This is due to lack of access to the USERGROUPS table. User Groups – When the User Groups node is selected in the left-hand navigation, the ‘There are no permissions to process this request’ error appears. After selecting OK, the main windows is blank (i.e. no User Groups appear).